Home is where the heart is.” True. But you have to acknowledge that the physical manifestation of that environment also influences your mood and your state of mind. We all like to look at pretty things, and a clean, well-decorated home is just as effective in making you feel better. There are so many blogs and websites that talk about home improvement, but we’ve whittled it down to the best, the ones that really matter and give you the right answers. Yes, you only need these sites, grouped according to specialty. We hope these inspire you to start your own home-improvement projects. There are projects you can do on your own, but that doesn’t necessarily mean shelling out a lot of cash. Your creativity doesn’t end with a tight budget. You can’t talk about home improvement without talking about the legendary Bob Vila. Back in 1979, he hosted This Old House and showed actual home-improvement projects, the first of his time, as if heralding the arrival of reality television. Bob Vila has been off-air for how many years now, but he still empowers people by teaching them home-building skills through his online classes, Bob Vila Academy. This home-improvement maven also shares his expert advice through his blog, offering solutions to both complicated and simple home problems. This blog has a strong following—fifteen million people monthly checking out home-improvement ideas. This Old House appears on different platforms, reaching out to audiences through its own magazine and TV show. DIY projects range from those that deal with seasonal upkeeps, to plumbing, to lighting, to gardening, among other things. Reades can also look for unique decoration ideas for various parts of the home. What started as a weekly email in 2001 has now grown into a weekly newsletter that provides solutions to decor problems. Apartment Therapy is interior designer Maxwell Ryan’s offering to the home-building world and gives shopping guides, instructionals, and advice on all things. Readers can also get styling ideas from fellow readers, as Apartment Therapy features home tours. These tours are actually reader-submitted photos that are unedited, and the houses are not styled by professional decorators, so you can really say the projects are legit DIY. Named after the popular children’s story, Ugly Duckling House is Sarah Fogle’s repository of DIY knowledge she has acquired over the years. The blog started after Sarah did numerous projects mostly by herself, learning home-building skills on her own and eventually sharing stories of her house’s many faces and phases of transformation. Ugly Duckling House focuses on DIY renovation projects and home decor. Tim Carter, the blog’s creator, has been in the home-building business for over thirty years as a master roof cutter, a master plumber, and a master carpenter and is undoubtedly an expert on the subject. Ask the Builder posts tool reviews and instructional videos on various aspects of building and repairing a home. It also provides a checklist of specifics for a particular home project, which questions to ask, the breakdown of expenses involved, and links to relevant articles. The imagination is limitless when it comes to decorating your home, but sometimes, the budget can’t keep up with what has been envisioned. Melissa Michaels tries to solve this problem in her blog, The Inspired Room, a decorating blog that shares tips on decorating and organizing your home, making it look fabulous without you having to spend too much money. Businesses that deal with real estate development, home services, and construction will benefit from GuildQuality, a third-party company that conducts surveys that will help the business client assess how their projects have been handled. This assessment enables businesses to track and improve their performance. GuildQuality also lists job postings and a pool of contractors and other professionals in the construction industry, making it easy for clients to look for a construction-service provider. DIY Inspired teaches readers, homemakers, and decorating enthusiasts do-it-yourself projects and tips on how to recycle, upcycle, repurpose, or refurbish items found at home. The many hours Dinah Wulf, the blog owner, has spent in flea markets, sales, and swap meets and flea markets have inspired her to create her own blog. DIY Inspired also shares decoration ideas for different holidays and special occasions and tutorials on making your own organic products. Your home can be a laboratory of sorts too. Building Moxie is a handy guide for homeownership. Whether you’re doing projects at the DIY level or pro level, you can find tips and strategies for creation, fixing, repairs, and maintenance. The instructions are easy to follow and come with photos, so you should be able to enjoy starting various home-improvement projects. Waste not, want not” is a central theme of Bea Johnson’s Zero Waste Home blog, which shares the secrets to a minimalist and waste-free lifestyle. 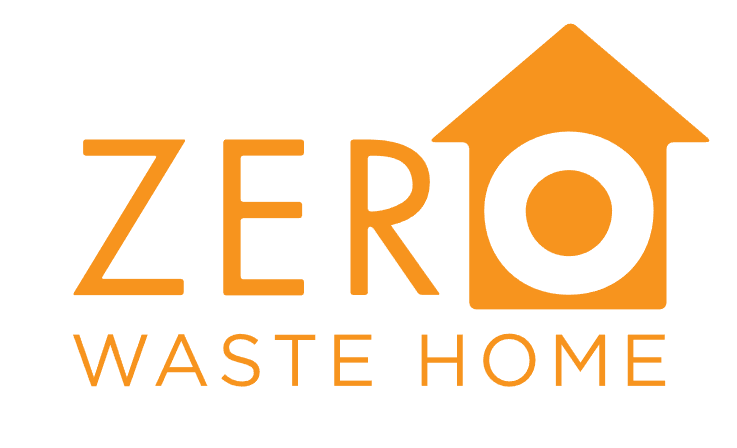 Johnson believes that a zero-waste home will help families save time and a considerable amount of money and improve their quality of living and health. She follows five Rs in her campaign for zero waste: refuse, reduce, reuse, recycle, and rot. Melaine Thompson is also a market editor for Souvenir, which is a lifestyle magazine. Through My Sweet Savannah, she aims to help readers get inspired to make their homes beautiful by getting the appropriate accessories, experimenting with their decoration tastes, and going to the right stores for the best deals and quality home decors. Thompson also gives readers a virtual tour of her own home on My Sweet Savannah. Igor Josifovic started Happy Interior Blog in 2011, featuring the sights of various places around the world, as well as houseplants. Josefovic ardently believes houseplants bring happiness. Wherever you are, happiness is always one of the things that can truly make your house a home. For Josifovic, this happiness at home can multiply when you have a house that’s tastefully decorated. 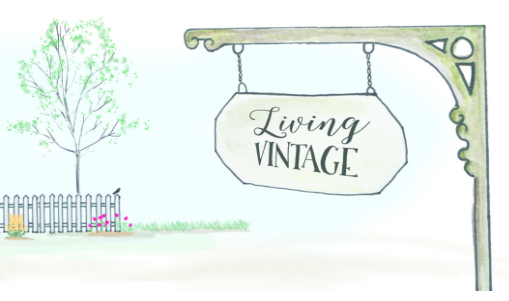 Experience a bit of time travel and nostalgia at Living Vintage, where old houses are deconstructed and then built into new ones, with the use of reclaimed materials. The vintage look is the central to the blog’s theme, but other styles are also included. The “Friday Favorites” section, as its name implies, features various looks or themes for all kinds of occasions and holidays. Decorator Stacy Curran’s South Shore Decorating Blog celebrates the best of well-designed homes and interiors in all styles possible: rustic, contemporary, French, traditional, and vintage, among many others. DIY projects and links to bargain deals are also found on the blog. Curran offers e-decorating services, looking at clients’ home spaces through an online consultation. Hello Lovely is a lifestyle blog that shares design inspiration for interiors. Renovation projects, DIY tutorials, and even recipes are some of the blog’s staple features. The blog features a lot of farmhouse-style interiors but also does a tour of homes that display different styles. The blog has a strong following, with more than four million views. Pulling off a sophisticated look for your humble abode doesn’t have to mean exorbitant spending. The experts at Interior Frugalista can help you refurbish and refinish your homes even when you’re on a budget. The DIY blog is abundant with ideas for classy yet inexpensive gifts and home-decoration pieces, things you can make from repurposed items. Flipping houses, which roughly means buying property with the purpose of reselling it for profit, is a fairly young concept in the real estate business. Liz, the creator of It’s Great to Be Home, has flipped ten houses and gives newbie flippers sage advice on how to get into the flipping business and important things to consider. Fashion and interior design meet on this blog, as Liz also talks about wardrobe essentials. Our House Now a Home shares affordable decorating solutions. The blog categorizes projects according to the decorating aspect being considered (e.g., organization, improvements, rooms) and features home tours according to the season (e.g, spring, winter). Some of the contents and products in Our House Now a Home have been featured in distinctive publications such as Good Housekeeping and Huffington Post Living. Maria Briggs, a stay-at-home mom, usually writes about food, plus-size fashion, healthy living, technology, movies, home decor, and fertility procedures in Adventures of the Mommy Homemaker. The blog started as a place where she can just talk at length about things she is passionate about, but it has gained popularity and international readership. Her colorful Italian heritage shows itself in the recipes she shares. Better Housekeeper (BHK) is dedicated to cleaning, housekeeping, gardening, and decorating. As one of the affiliated sites in AOL’s Style Me Pretty Living network, Better Housekeeper holds a plethora of articles on cleaning solutions, gardening, recipes, and trends in housekeeping. BHK also shares unique and creative ideas for home decors. Sarah Pugh’s Renovate Me is an authority on budget-friendly renovation projects. This blog also covers issues and policies pertinent to housing in the United Kingdom. Renovate Me has an extensive list of experts who can help clients in various aspects of home building and construction (e.g., surveying, insulation, property law, housing development, mortgages, etc.) and of properties for renovation. 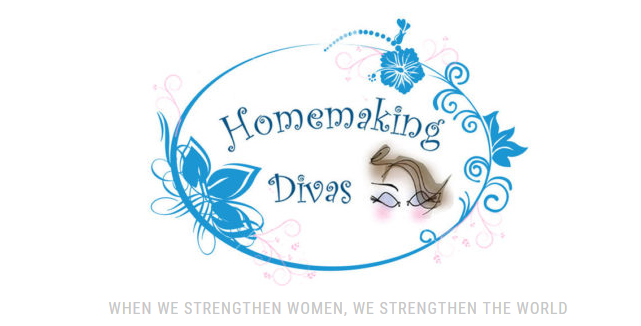 Welcome to Stacy Nelson’s own celebration of women and their interests, Homemaking Divas, a blog that talks about varied solutions and tips in auto repair, cleaning, cooking, and healthy living. The blog also features influential women in various fields and occupations. The minimalist lifestyle may be an acquired taste for some, but Little Modernist believes that this simple way of living can make people more conscientious about the choices they make in their lives. Little Modernist gives advice on maintaining a healthy lifestyle, traveling, and how to manage finances. Domestic Deadline posts about the essentials of the domestic life and home improvement but doesn’t stop there. This blog regularly hosts its Linky Party, which welcomes bloggers from all parts of the cyberworld and links up with them to help promote their individual blogs. This network-building project is especially helpful to beginner bloggers who have yet to gain traction and following. Dans le Lakehouse (which is slightly anglicized French for “in the lakehouse”) is a blog that explores many DIY ideas, ranging from simple home projects, to home renovation, to room makeovers. The blog is a hodgepodge of interests, such as craft making, healthy lifestyle, and decorating. Check out the blog gallery to look at the completed DIY projects. Running out of ideas on what to do with the old stuff in your attic? No problem. HomeJelly can help you. Homeowners who are on a budget and, at the same time, passionate about protecting the environment can get creative with their home-improvement projects by looking at HomeJelly’s suggestions for repurposing and refurnishing. Sisters and mothers Megan and Stephanie team up to share beauty and fitness tips, the list of products they love to use on their projects, projects on painting, restoring, and refurbishing. Do It Yourself Divas is also perfect for budget-conscious fashionistas, with its quick and easy DIY fashion projects. The Stylish Nest is a lifestyle blog that relishes in DIY projects that make the home a relaxing and cozy space to live in. At the same time, it also features gardening ideas and holiday-themed decoration projects. Frugal in SA shares cost-effective tips for a simple yet abundant lifestyle. Keeping a minimalist lifestyle in South Africa is the blog’s focus, and Frugal in SA can only enumerate so many ways in many aspects of life in which consumers can save money, whether it’s about planning meals, budgeting, or staying out of debt. Home by Ally is a North Carolina real estate agent’s answer to every homeowner’s dilemma. Ally, a decorating enthusiast, gives readers decorating tips that are easy on the budget, funky decorating ideas, and awesome bargain finds. Just a Girl with a Hammer is a repository of novel and creative DIY projects that are easy to do. There are also articles on the latest in gardening, as well as articles sorted according to the home areas that need improvement, like the basement, yard, and the kitchen. The “Before and After” section shows a makeover of the blog owner’s home, which is sure to challenge readers to re-create their own homes. This is the more technical part of the home-improvement process, and these sites will give you detailed answers and services on your questions on construction. One can only do so much to create creative yet livable home spaces, but without the assistance of an industry expert, the process becomes tedious and expensive. Custom Design & Construction helps homeowners make informed decisions on their remodeling projects for their homes. Founded in 1979 by Kevin and Emily Lindus, Lindus Construction caters to construction needs, as well as home improvements and remodeling projects. Storm-damage repairs are also right up the Lindus alley too. Lindus Construction also offers home-performance inspections and a free in-home estimating service. Construction Data provides construction leads in the public and private commercial sectors, information that will help clients look for market relationships and the best technology solutions. Contractors can browse through the available resources on the website for the latest news, legislation, products, and technology in the construction industry. Boston-based Morse Constructions Inc. first operated as a cabinet company but has grown into a full-service home-renovation company. The company blog reports on the emerging trends in renovation and posts white papers and articles on design and construction. Morse Construction’s works have been featured in The Boston Globe, Architectural Digest, and Better Homes and Gardens. Gehman Design Remodeling aims to provide the ultimate customer experience in southeastern Pennsylvania with its superb craftsmanship, quality products, and sleek designs. The design-build company helps its clients create their dream home by guiding them along the planning process. Your remodeling projects will surely bring about a beautiful transformation of your home with the help of Burgin Construction Inc., which will assist you in every step of the way, from planning, to layout, to selection of materials, and down to the coordination of colors. Titus Built LLC is a remodeling and renovation company based in Connecticut that takes pride in its architectural designs, millwork, construction team, wide range of high-quality products, and reputation as an award-winning firm. Need a quick fix? 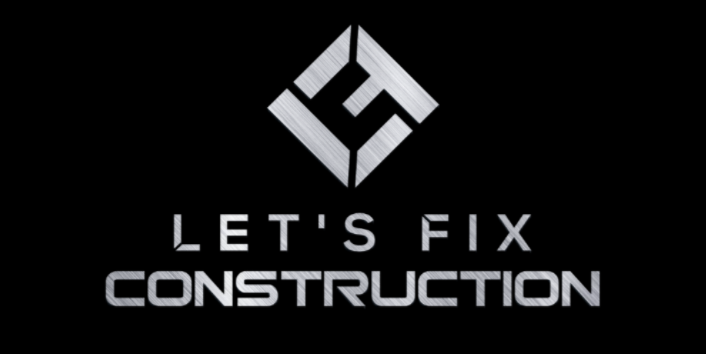 Let’s Fix Construction gives solutions to construction problems. Professionals in the about the architecture, engineering and construction (AEC) industry can benefit from the workshops offered by Let’s Fix Construction, which are sure to expand their current skill set. Bill Pearn Masonry focuses on the building, renovation, and improvement of residential and commercial spaces in Pennsylvania. Its blog lists various best practices that homeowners need to know when they plan to take on home-improvement projects by themselves. Windows on Washington (WoW) offers in-home consultations and estimates to help clients come up with solutions for improving their home while still sticking to their budget and following their lifestyle. The WoW blog gives you ideas for affordable home-improvement projects and practical guides on products such as exterior doors, replacement windows, roofs. WoW is also an advocate of energy efficiency. A beautiful home need not destroy the environment; just ask Stephanie and David Vanderbilt, the wife-and-husband duo behind Coastal Windows & Exteriors, another haven for homeowners who advocate the use of green technology. This home-renovation company sells energy-efficient products and is one of Remodeling Magazine’s big fifty companies. For Construction Pros is an assortment of topics that cover different aspects of construction. As a trusted reference, the website gives the latest news in the commercial construction industry, product reviews, whitepapers, and product guides to the most recent models of heavy equipment. For Construction Pros also writes about maximizing productivity and profit in the business and shares stats on the various sectors in the US construction industry. A real home should be able to mirror and resonate the personalities of the people living in it. Interior designers recognize that as an integral concept to follow in designing homes and buildings. 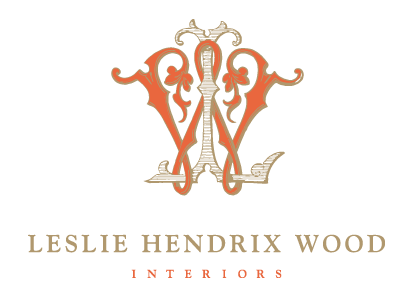 Leslie Hendrix Wood is a pro at couture design, and in her blog, she shares the secrets to a home that is classy, timeless, yet affordable. Aside from talking about the latest trends in the design industry, Wood also treats readers to heapings of advice on how to throw the best themed parties and to interviews with the leading design-industry professionals. Amanda Gates takes a refreshing approach to interior design, using feng shui as a basis for planning home-interior arrangements. As a feng shui practitioner, Gates believes that happiness and prosperity in a home are connected to how objects are arranged and how these align with the energy inherent in every space. Gates’s designs are the result of the harmony between energy and the right texture, furniture, style, and colors. Interior designer Lori Smith started One Kindesign in 2010 to help homeowners in their quest for practical yet creative solutions to sprucing up their homes. The site has more than 90,000 images and 4,000 articles; surely, that’s more than enough inspiration for decorating and design. One Kindesign also features samples of architecture inspired by different styles, such as contemporary style, Mediterranean, Scandinavian, tree houses, and sustainable design. Erin Williamson Design is a design firm that caters to residential and boutique commercial spaces. Erin Williamson, the founder, is a firm believer in customizing designs such that the home reflects the owner’s distinct personality and character. Williamson won the 2015 Wayfair Tastemaker Award for Best Design Innovator, and her designs have been featured in Pop Sugar and The Washington Post. Garrison Hullinger Interior Design (GHID) prides itself on projects where clients can live in spaces that are artfully and practically designed yet are still reflective of the clients’ personal tastes. GHID deals with residential and commercial architecture but also specializes in custom homes and interior design. This one-woman blog by Tina Ramchandani is a pool of ideas about design and features cityscapes in New York and DIY projects. Life in Sketch updates readers on the latest exhibitions and installations, noteworthy design inspirations from Ramchandani’s travels, and gift guides. Ramchandani runs Tina Ramchandani Creatives, a design firm that specializes on unique interiors interspersed with couture pieces, custom elements, and artwork. If you’re looking for ideas on accessorizing your home or which furniture pieces to use or design styles you can follow at home, Fresh Design Blog is the right place for you. Fresh Design Blog is dedicated to modern and contemporary interior designs, specifically focusing on decorating the home and the garden. 2Modern was founded by Greg Finney in 2003 and retails home accessories, furniture, and lighting. The brand celebrates the modernness, authenticity, and functionality inherent in its designs through its blog, which also showcases the best of the architecture and trends in different parts of the world. The things that Finney has seen in places where he has been are inspirations for some of the product designs. 2Modern has been featured in The Los Angeles Times and Better Homes & Gardens. Editor and writer Julia Sweeten is not a real estate agent, but her appreciation for beautiful houses and interiors inspired her to start Hooked on Houses, a blog that features celebrity homes, sets featured on series and movies, and houses on sale. The “Before and After” section shows houses that have been remodeled or renovated, and the transformations are simply breathtaking. Hooked on Houses has been mentioned in major home and lifestyle magazines: HGTV Magazine, Country Living, and House Beautiful. The worlds of architecture and interior design are filled with many nooks and crannies that UK-based blogger Stacey Sheppard is exploring. Through her blog, The Design Sheppard, Stacey shares innovative concepts and chic designs that readers can use in their own efforts to decorate or design their houses. The Design Sheppard was recognized in 2015 and 2016 by Vuelio as one of the top ten blogs in the UK on interior design. The eponymous blog is Washington, DC, interior designer Sarah Baynes’s brainchild. The blog is a convergence of fashion and interior design, where you can pick up ideas and inspiration for cultivating and refining your tastes in fashion and design. Baynes is recognized by publications like Elle Decor and House Beautiful as a lifestyle expert, and through her blog, she also taps into the expertise of fellow interior designers and other notable figures in the design industry. Architects and those who want to up their know-how in the more intricate parts of home improvement can browse these sites. MoD Design Guru is dedicated to innovative design, featuring important figures and rising stars in the worlds of product design, interior design, architecture, and fashion design. The blog revels in designs that exhibit different forms and nuances of creativity, whether they are simple, unconventional, or bold. Add architecture to the list of things you need to take seriously in life. Making your home space safe, comfortable, and pleasurable to live in is a prime concern of Seriously Architecture, a blog that monitors content from high-caliber architecture blogs. The selection is well curated, meticulously chosen to represent the best in the world of architecture. Linda Bennett started Archi-ninja in 2008 initially as a university assignment. It’s now 2017, and Archi-ninja is still around to give advice and solutions to various home-improvement problems. Bennett is interested in the interplay between anarchy and the structured world of architecture. Seattle-based Shoegnome Architects specializes mainly in customizing residential homes, and its blog is devoted to all things architecture—best practices, BIM ArchiCAD (which is a software used in building models of homes), and analyses and speculations on the future of architecture. For Construction Pros is an assortment of topics that cover different aspects of construction. As a trusted reference, the website gives the latest news in the commercial construction industry, product reviews, whitepapers, and product guides to the most recent models of heavy equipment. For Construction Pros also writes about maximizing productivity and profit in the business and shares stats on the various sectors in the US construction industry. Earth, the place we call home, is suffering from the degradation that unconscientious development brings. But we don’t have to deplete the limited resources we have to build our own homes. Below are blogs that promote sustainable development through a green lifestyle. 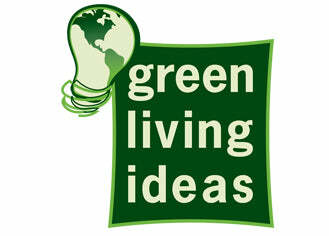 Green Living Ideas is a comprehensive resource on beginning and maintaining a green lifestyle. Experts and advocates of the green life share their knowledge on ways to make your food healthy and promote energy efficiency, among other things. Green Living Ideas also shares the most pressing issues on the environment, as well as earth-friendly products and technology. N. Astrid Lindo is the artist behind the awe-inspiring designs of Astrid Design Studio, which specializes in green residential and commercial spaces. Having worked for seventeen years in the design industry, Lindo is unparalleled in her ability to create designs that infuse innovative technology, her client’s sensibilities, and her expertise shaped and bolstered by her many travels, experience, and education. Accent Renovations is another place where environment advocates can find support. 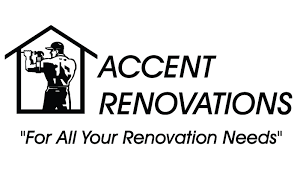 As a construction company, Accent Renovations believes in reducing its carbon footprint, recycling, reusing, or refurbishing materials from projects The company is a staunch follower of ethical and environmentally responsible business practices. Through its blog, Accents Renovations strives to educate consumers on green innovations in the construction industry. The green revolution continues with Groovy Green Livin’. Lori, the creator of the blog, aims to raise awareness and educate consumers on the importance of making informed decisions to adopt a green, healthy lifestyle. The individual choices we make, though they are small, contribute to the overall well-being of our environment, and it is this idea that drives Groovy Green Livin’ to reach out to readers for nontoxic products and technology, as well as best practices. Jetson Green focuses on posting content that promotes green technology and the use of natural materials in building sustainable homes, combining ergonomics and ethical ecological practices. Some topics covered are renewable energy sources (e.g., wind and water), the conservation of resources, and water and energy efficiency. 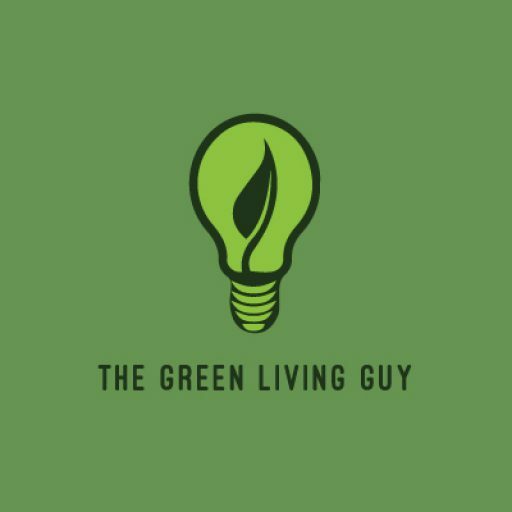 Author, environmental consultant, and reporter Seth Leitman is the guy behind Green Living Guy, a blog on sustainable lifestyle that emphasizes the use of green technology and green lighting. Leitman shares news on green living and various efforts to promote a healthy and environment-friendly lifestyle. Green Living Guy also has a feature on ecofashion, the use of organic materials to make eco-conscious clothes. As a precaution, check out these blogs to ensure that you and your contractor are compliant with state laws and other policies. These will save you from unnecessary legal battles. Shari Shapiro shares her legal expertise in Green Building Law Blog, centering on sustainable development and championing the advocacy of a green lifestyle. The blog discusses issues that revolve around energy, environmental, and building code policies. The legal aspect of construction is often overlooked and is not often discussed in many home-improvement blogs. With Construction Law in North Carolina, lawyer Melissa Dewey Brumback educates readers and clients on laws and legislation related to the construction industry. Brumback helps clients draw contracts for their projects, ensuring that the clients get the best out of the services they pay for or avoid litigation in court and other legal setbacks.